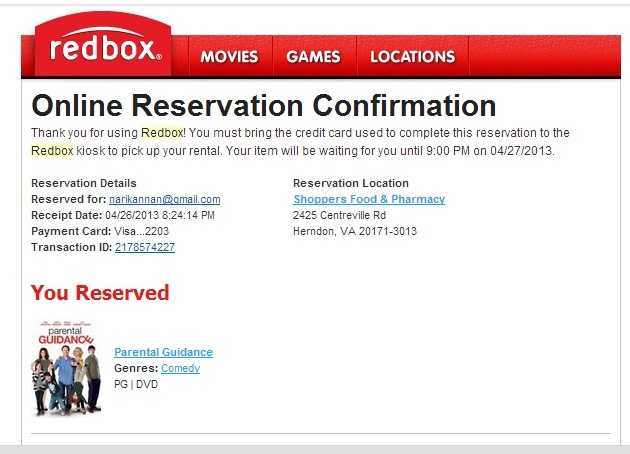 Redbox – A Fine Example of Integrated Physical and Virtual User Experience Design! 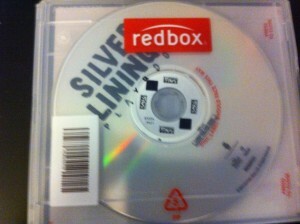 Redbox rents DVDs, Blu-Ray Discs and family video games in US and Canada. Redbox kiosks are found in 34,600 locations and are fully automated video rental kiosks! More than anything else I love using them because they carry the latest titles, are affordable and make me happy every time I do business with them! In my experience I have not seen a better example of INTEGRATED user experience design between their physical kiosks, their online presence, email, their mobile interactions and their social media activities. 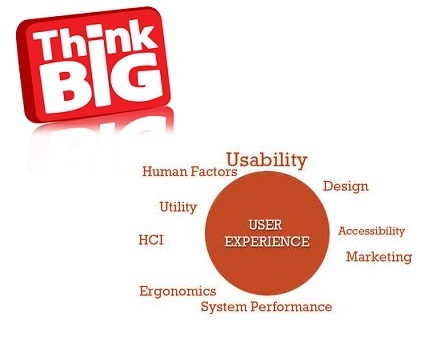 It seems to work as one single entity, seamless, with the same ease of use and brand identity throughout! Everything is so simple and easy to use, from the Kiosk interface to their website to their mobile apps! Let me explain! 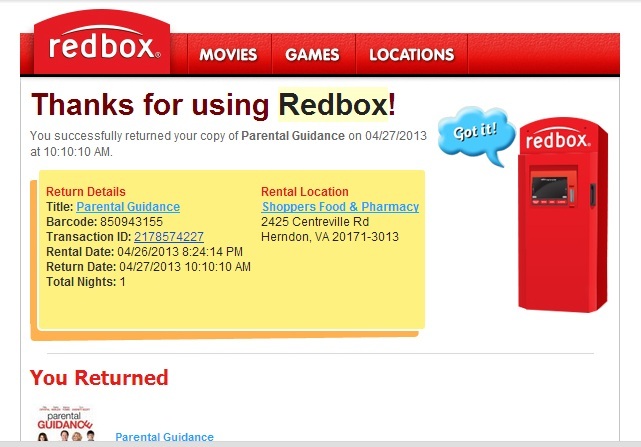 First thing about Redbox is the name of the company and the color of the kiosk – a red box and you can locate them anywhere. They are mostly everywhere in all major towns! Great branding start! Win#1! Next to the box is a display showing all the latest titles that can be borrowed from the Redbox. You don’t need to wade through screens and screens of titles on the display. Many of these are outdoors and in the glare of the sun – hard to see the display clearly with that. At the top of the box are pictures of the 6 latest titles for your quick glance. Look to the right and you get an idea of other recent titles! DVDs and Blu Ray discs usually get released on Tuesdays and so I am guessing that the person who comes to load up these titles into every kiosk updates these pictures also in addition to servicing these machines. Love the way they have used physical simple displays to augment their electronic one! Win#2! You don’t need to go all the way to a kiosk to make sure a movie is reserved for you. You can do it online and go pick it up from a kiosk. It will be held for exactly one day and then released if you don’t and charged a day’s rental since they are holding it for you. Plus you can return a DVD in any red box, even 1000 miles away! Win#3! I love the way the same Brand Identity persists through the website. I can browse through what is available on kiosks near me without logging in! No need for them to have me log in till I find something and then you have a transaction to complete and you can log in! I love the way they postpone identifying the customer in a kiosk or online till there is a need to. I don’t feel rushed and i browse through movies without having to identify myself first, They make it easy for me and I love it! Win#4! Based on your address and zip code, or just zip code it shows you locations by address and on a map next to it! Win#5! While browsing by location of the kiosk, they show movies that are available in the Kiosk, new movies first, older movies next, DVD and Blu-Ray versions of the same movie next to each other. If you select a Blu Ray movie, an helpful window pops up to confirm that you do have a Blu-ray player. Many people may not have upgraded from a DVD player to a Blu Ray player and this is thoughtful! If a movie is available but not at that kiosk a label “Nearby” pops up and allows you to search other nearby kiosks and reserve them . Helpful to me and clever cross-selling! Win#6! Whatever you can do online you can also do on a SmartPhone interface except now it can know your current location and show you the nearest kiosks. In addition, you can do everything you did online from a smartphone also. Here are some screen shots from their iPhone interface! Same look and feel, all the same functionality! Win#7! They have also integrated their SMS promotions very well. You could sign up to get promocodes for discounts on rentals they send out, mostly on Fridays. The thing I like about them is their including a way to get off these messages in every message they send out! Also, unlike most other businesses, they are flexible and not rigid about the conditions under which they redeem these promocodes. I once got a promocode good for two rentals. Just to see how they have set it up I tried to redeem it on one rental. It still worked! I loved the thinking behind this – as long as I am interested in only one rental, allow the same discount for two on just one rental! Win#8! The Kiosk, Online and SmartPhone presences are incredibly integrated with email! If I make a reservation, check out a movie from a kiosk or return a movie resulting in a charge on my credit card and a receipt, they send out email confirmations every time! And again I love the way they send emails for all stages of a transaction and maintain the same brand identity in the emails they send! Win#9! Now a little bit about some little things they thought about. The DVDs and Blu Ray Discs have an identifying barcode printed in the small circle around the center of the disc. How does the Kiosk know that you have returned a copy of Ironman 2 and not some other random disc? This is how they do it – the kiosk reads the barcode and confirms that it is the Ironman 2 disc you have returned. That means that you can insert the disc in its sleeve only one way facing the reader inside! No problem! They have a large ARROW on one side of the sleeve and that matches a similar large ARROW in the kiosk! Win#10! Now on to their activities on Social Media – Their way of engaging people on social media is also impressive. 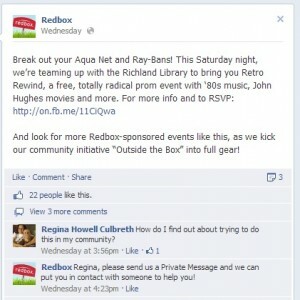 Here are some examples of interesting ways they engage people who like their page! I like the way they call their community activities “Outside the Box” keeping with the Box theme! Win#11! 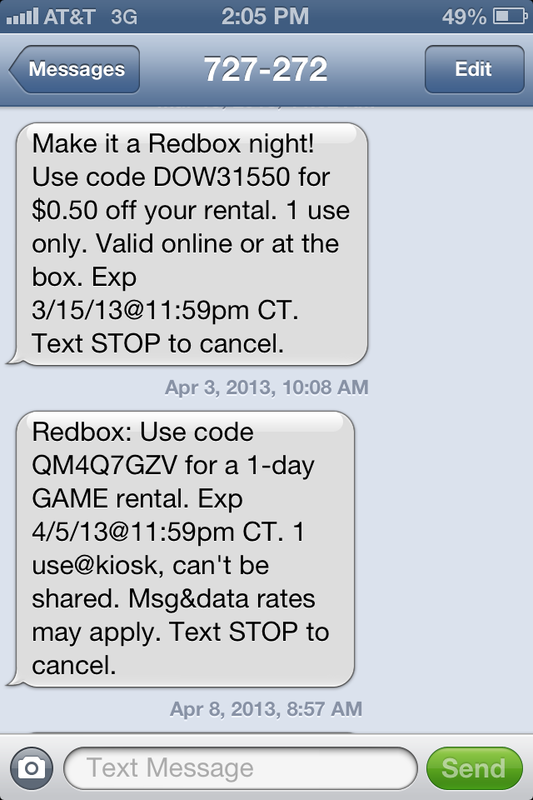 There are many more little things that Redbox does well. Very recently, they are also getting to streaming movies online and that seems to be nicely integrated with their Kiosk/DVD business as well as you can see from their free trial page from this RedboxInstant page! DVDs and Blu Rays will go the way of the do-do sometime in the next few years and Redbox seems to be getting ready to cannibalize their own physical business transitioning into a purely electronic one! Great strategy! Win#12! 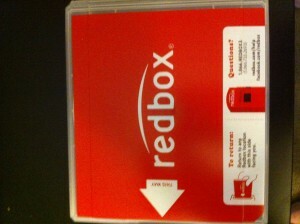 There are a hundred other small things that Redbox does well for the user! They seem to have tested these things from a users’ perspective and fixed many things in the process. They are a great example of thinking about things from a user’s perspective and designing things backwards from it! I am also positive that they would have tested these extensively! This kind of dog food is not possible without redbox employees or designers eating it themselves at some point in time! Fine example of integrating physical and virtual user experiences with very well thought out approaches to call to action, marketing and respect for the customer! 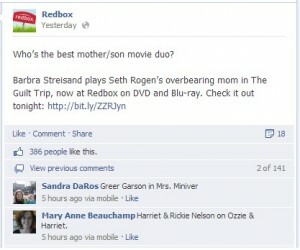 Well played, Redbox, Well played! Previous PostPrevious Why will Someone Pay to Buy Your Product? Next PostNext Don’t Build Something Unless Someone Is Willing To Pay For It & Asks For It Twice!